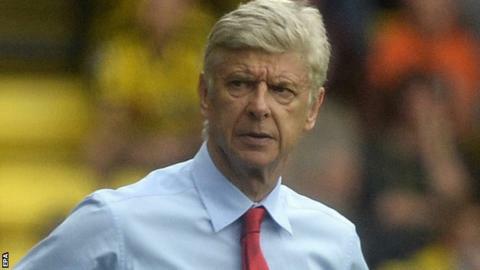 Arsene Wenger has confirmed that Arsenal have signed Germany defender Shkodran Mustafi and Spanish striker Lucas Perez. The pair are set to cost Arsenal around £52m - taking the club's summer spending to almost £100m - and Wenger says he expects no more transfers before Wednesday's deadline. "We have bought two players, Mustafi and Perez. We had to work very hard to get signings done," he said. "We have no plans for anyone else now." Match of the Day pundit Ruud Gullit seemed unimpressed at the Gunners making the signings "so late" in the window. "Everybody has already bought their main players. Arsenal did this with Per Mertesacker a few years ago," he said. "We need to see how these players cope in the Premier League. How will they adapt? It will take some time." Former Everton centre-back Mustafi, 24, is set to sign a five-year contract from Valencia, for a fee in excess of £35m. Arsenal had already agreed to meet a 20m euro (£17.1m) clause to sign Deportivo La Coruna forward Perez, 27, who scored 17 goals in 37 games last season. They have already added midfielders Granit Xhaka and Kelechi Nwakali, defender Rob Holding and forward Takuma Asano, 21, to their squad. Everton were closing in on Perez before Arsenal declared their interest. Japanese striker Asano, who joined from Sanfrecce Hiroshima in July, will join Bundesliga side Stuttgart on a season-long loan.